A ‘Cloudy’ Wine Sees Its Terroir Clearly – It's Wine By Me! 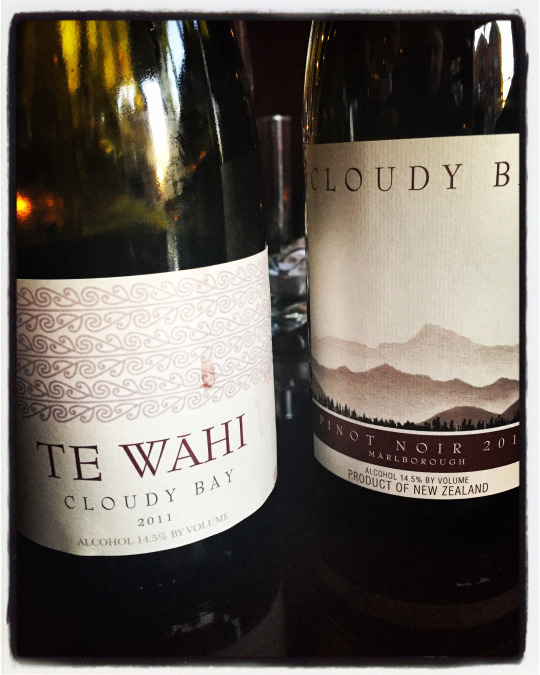 Not bad for a Tuesday evening: After work today, I dropped by a happy hour sponsored by Cloudy Bay, a New Zealand winery that’s focusing on producing wines from the Marlborough and Central Otago regions. The event was short, so this post will be, too. We tried two Pinots: A 2011 from Marlborough; and the Te Wahi (also from 2011), which blends two vineyards from the southern most part of Central Otago. The Marlborough wine is a crowd pleaser. Lots of juicy red fruit with silky soft almost-non existent tannins. The Te Wahi was slightly darker, a bit more elegant with herbal notes and more expressive of its terroir (after all, its name translates to “of the place”). I have very little experience with New Zealand wines, but if these are indicative of what can be produced from this land, I’ll be eager to seek out more.